Virtual Girl Friday respects your privacy. All information collected from your company is strictly kept private and confidential. 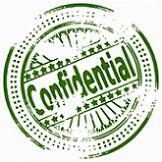 I will not disclose or share your confidential information with any other party at any time. I will happily provide you with a signed non-disclosure form as part of the Privacy Act. information relating to your clients or staff. I acknowledge and agree that such information is the exclusive property of you and/or your business or such related party and that the information could be used to the detriment of you and/or your business. I therefore undertake to treat confidentially all such information and agree not to disclose any such information to any person either during the term of my contract under this Agreement (except as may be necessary in the proper discharge of my contractual obligations) or, at any time after the date of the end of our contract. I agree that upon completion of our contract, I will return to you all drawings, blueprints, records, software and data and other media that I may have taken possession of during my work assignment. I will accurately represent what my practice is capable of in all marketing, advertising and promotional materials. I will accurately represent my skills, recognizing my limitations and only offering professional services that I feel competent to provide. I will inform prospective clients of any conditions that I am aware of that could limit my effectiveness. I will place each client’s best interest first and foremost, making reasonably certain that I have the necessary skills and resources to provide the support needed before entering into a client relationship. I will clearly communicate the terms and conditions of any client relationship, identifying the responsibilities of all parties, and documenting these provisions in a signed agreement. I will honor my contracts, agreements and commitments. I will only make commitments that are within my power and abilities to deliver. I will accept responsibility for all work I do, admit mistakes and do whatever is possible to rectify any problems that arise. I will maintain the highest level of professionalism, and refrain from misrepresenting any authority entrusted to me. I will maintain accurate and sufficient records of all client work. I will safeguard and protect all private and confidential information entrusted to me or obtained in the course of any working relationship. I will not release any client information without prior consent or unless given instruction or permission by client to do so on his or her behalf. I will ensure that electronic and hardcopy record disposal is handled in a confidential and secure manner. I will serve as an effective professional representative of my clients when asked to do so, and do everything within my power to protect the interest of my clients at all times.